Peter illuminates Isaiah 53 to show how Jesus Christ may be both our Saviour from suffering and our example for how to suffer. For to this you have been called, because Christ also suffered for you, leaving you an example, so that you might follow in his steps. He committed no sin, neither was deceit found in his mouth. When he was reviled, he did not revile in return; when he suffered, he did not threaten, but continued entrusting himself to him who judges justly. He himself bore our sins in his body on the tree, that we might die to sin and live to righteousness. By his wounds you have been healed. For you were straying like sheep, but have now returned to the Shepherd and Overseer of your souls. Click above for this sermon's full audio. Jesus is our example. He is our Rabbi. We follow exactly after Jesus. In 1 John 2:5-6 it says that we know that we are in Christ when we walk in the same way in which he walked. This passage in Peter’s epistle has a strong parallel in Isaiah 53. In this chapter, Isaiah prophesies about the greatest offense ever incurred by any human being, the unjust death of the innocent man, Jesus of Nazareth, executed on a Roman cross. No act on earth has ever been more unjust. Jesus was perfectly sinless. Jesus never sinned, so he shouldn't suffer. And calling the crowd to him with his disciples, he said to them, “If anyone would come after me, let him deny himself and take up his cross and follow me. For whoever would save his life will lose it, but whoever loses his life for my sake and the gospel's will save it. For what does it profit a man to gain the whole world and forfeit his soul? Peter was willing to believe and say that Jesus was the Messiah, but he could not bring himself to believe that Jesus would suffer. He had an easier time believing that Jesus was the promised king than that he would ever suffer and die. Jesus took it further, telling Peter and the rest of the disciples that not only would he suffer, but that their call to follow him in resistance to empire and according to the radical love and justice of the gospel of the Kingdom of God meant that they would suffer as well. Merriam-Webster defines revile as “to speak about (someone or something) in a very critical or insulting way”. It carries the implication of abuse, bordering on hate. I have rarely been reviled. More commonly, the experience I have from people who do not share my faith is contempt. I am not frequently hated, but I have been treated with contempt. This word means something more like to be ignored, to be considered utterly unimportant. I think we Christians may sometimes mistake the contempt of the world for hatred. We should be careful not to do so. One of my strongest memories from high school is one from a Social Studies class. I had raised my hand. I don’t remember why. I do remember that I’d had it up for a while. After I do not know how long, I remember my teacher looking at me and saying, “Oh, put your hand down, Shawn. We’re not talking about Jesus.” I don’t actually remember any reason why my teacher would say such a thing. I don’t remember being particularly outspoken. Perhaps I was. But I do remember how hurt and embarrassed I was in that moment. But, hurt as I was, I was not reviled. What I experience was contempt. People do not revile that which poses no threat. That Christianity is more often treated with contempt than hatred is evidence that we are not yet truly representing the real threat that the Kingdom of God actually is to the Powers That Be. But Jesus said that if we followed after him, we would be reviled. Perhaps you actually have been reviled. Peter tells us that Jesus is our example when we are reviled. When Jesus was reviled, he did not revile in return. He was silent (at his trial - Matt. 26:63; Mark 14:61; John 19:9). God incarnated in a human body was accused of being the devil incarnated in human flesh. Yet Jesus never reviled in return. Jesus was mocked as he was beaten (Luke 22), yet he did not curse those who beat him. From the cross, Jesus said “forgive them” (Luke 23:34). Our bad treatment is never an excuse to treat others badly. We follow after Jesus in our suffering. We do not threaten or revile. When I was fifteen I was hit by a truck. I was actually run over by the truck as I was crossing the street on the way to school. I was in so much pain lying on asphalt in the Winter that I was bouncing like sizzling bacon on a pan as I lay there. But I remember this lucid moment when I saw the kid, maybe my own age, get out of the truck where he’d stopped in the middle of the intersection. I asked someone to call him over to me, and from the ground I shook the guys hand and said, "I'm okay. Don’t worry about me. I forgive you." I swear it must have been hormones rushing because of the pain or something, because I’m totally not like that a lot of the time. Sometimes it's harder in the day to day “light and momentary afflictions” to act like Jesus than it is in the obvious times. For example, the Internet. I write some heavy, bold things on the Internet sometimes. Every couple of weeks, I’ll get negative responses. They’ll often be quite inflammatory. I’m not perfect, of course. There have been plenty of times I’ve had to back down or away from a statement I’ve made, and in those cases I’m glad to have been called up. However, sometimes these responses are actually attacks, and sometimes they can get vicious. At my worst, I’ll use my love of language and reason, one of the most precious gifts God has ever given me to bless people, as a weapon to hurt them. I may not be the best at arguing in person, but I’m far from unarmed if attacked with words in the form of cold text on the screen. With a little time and the ability to edit and fact check my response, I can seriously flame someone. Before Peter wrote this epistle, he also had a weapon on him, and the confidence to use it if pressed. When Jesus was arrested in the Garden of Gethsemene, Peter pulled out his sword and cut off a soldier’s ear. Jesus used this as a teaching moment. 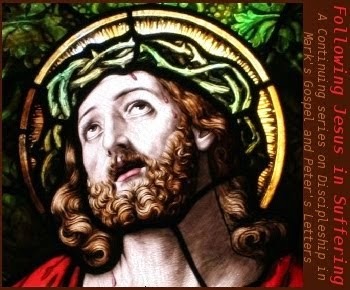 Then, Peter watched as the man he’d confessed as Messiah was taken away, just as he told him he would be. In Mark 14:65 Jesus was received with blows. In Mark 15:19, they beat his head with a reed. In Matt 26:67 they spit in his face and struck him. In Matthew Matt 27:29 they puched a crown of thorns into his head. In John 19:1 Pilate had Jesus flogged, and then people beat him with their hands soon after. Then in John 19:17 it says Jesus bore his own cross to the hill of the skull where he would be murdered. And when he was reviled, when he suffered, he did not threaten. You will never look more like Jesus then when you say "I forgive you". However, this does not mean that we cannot stand up to abuse. Paul gives us an example of standing up against unjust treatment. But when they had stretched him out for the whips, Paul said to the centurion who was standing by, “Is it lawful for you to flog a man who is a Roman citizen and uncondemned?” When the centurion heard this, he went to the tribune and said to him, “What are you about to do? For this man is a Roman citizen.” So the tribune came and said to him, “Tell me, are you a Roman citizen?” And he said, “Yes.” The tribune answered, “I bought this citizenship for a large sum.” Paul said, “But I am a citizen by birth.” So those who were about to examine him withdrew from him immediately, and the tribune also was afraid, for he realized that Paul was a Roman citizen and that he had bound him. We follow Jesus in suffering because of our resistance to our own sin, and to the selfish spirit of empire that is in the world. When we are reviled, we do not revile in return. We forgive, but that does not mean that we cannot continue to resist such injustice. The difference is in our posture and our purpose. Like Christ, we resist actions, and systems, and titles, and powers, but we do not resist persons. In our resistance, we always offer to the agents of injustice the opportunity for their redemption. We may find it necessary to shut the door on their presence in our life, but we do not act in kind toward them. We plead to them for their repentance. We speak blessing to them. When we have nothing else we may do or say, we pray for them. We are able to do this only by the same way that Christ did. Jesus continued entrusting himself to God (1 Peter 2:23). Once again, Jesus is our example. 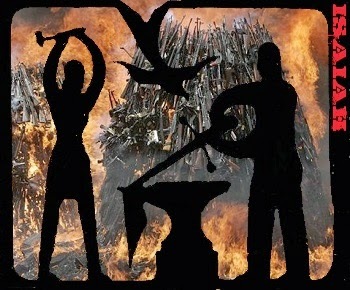 We may put our swords away, because we believe that God really has us. We know that God is the just judge. As Jesus said to Peter, scripture will be fulfilled. All will be made right. We entrust ourselves to God. Jesus is our example, whom we follow in suffering. However, we would not be able to do so if it were not also that Jesus is our Saviour. Iniquity describes the sin within. This is not only the sin we can see, but the sin that we cannot see, our motivations and desires that lead us to transgress God’s perfect justice. Isaiah says that Jesus is carrying all of our sin, and we aren't carrying any. Peter says that we have literally died to sin. That piece of us that wants to sin, that likes it, was taken into Jesus’ body on the cross, and died with him. It is only by this grace that we are able to follow after Jesus as Peter describes. By faith, we receive the grace day by day the life of Jesus inside of us to continue in our life of discipleship, following after him. We have been changed because of the cross. Our old life, our iniquity, is dead. We are made alive to God. Peter says that Jesus bore our sins on the cross so that we may live to righteousness. Jesus has called us to follow him to the cross, but then he went to the cross for us. By the same act he showed us the way, and also took us there. We are standing at the finish line. It is because of this grace that we may, like Jesus, entrust ourselves to God in the face of suffering. Peter quotes Isaiah again in verse twenty-four. Transgression, like iniquity, is another word for sin. Iniquity is the sin inside us. Transgression is the sin we commit. By Jesus’ death, he paid for both. Furthermore, his death also paid for the penalty of sin, our death. This is the future promise in which we now hope daily. Death, the penalty for sin, has been defeated. At Jesus’ return, we will see this victory fully manifest. We will be resurrected in new bodies, to live with Jesus in a new earth, free from the consequence of sin under which Creation now groans. In this new life, we will experience an eternity without sin, without sickness, without pain, and without death. He will wipe away every tear from their eyes, and death shall be no more, neither shall there be mourning, nor crying, nor pain any more, for the former things have passed away. Healing for our wounds and our sickness is ours because of the cross. However, until Jesus’ return, we will still experience the consequences of sin. The penalty for and the power of sin are dead on the cross. We are no longer under God's active judgment, but we are still able to be affected by the results of sin, the corruption that still exists in the world. It is from this sin that the suffering we experience will still come. This is why we need Christ’s power in us daily to resist, to forgive, to continue to entrust ourselves to God. We may do this, because Jesus is Lord. Once again, Peter quotes from Isaiah. We have all strayed from God. On his side of the cross and resurrection, Peter is able to go one step further. We are sheep, but Jesus is our shepherd. Jesus is the Overseer of our souls. Jesus is Lord. We are able to follow our Saviour, Jesus, in suffering, because we know that he is the ultimate authority, the high King, and the Final Judge. Peter and the early church would find themselves standing before courts and governments and by them be put to death for their resistance. In the midst of such suffering, they could be at peace before their persecutors in their faith that the on the Judge’s seat of the highest court was the one who watched over their very life. 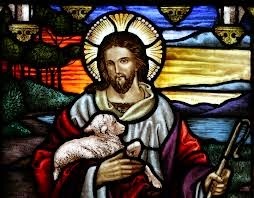 Jesus said "I am the good shepherd that lays down my life for his sheep (John 10:11-15). The one who watches over us has already been everywhere he would ever call us to go. We are never left alone. Our healing for any injury has already been given, and by that gift we are empowered to walk humbly and in forgiveness, always. Nothing is lacking in Jesus’ death when it comes to payment for the penalty of our sin and healing for our suffering. Yet, Paul says that for the sake of the Colossians, for the sake of the church, he also suffers like Christ did. In this may be the greatest encouragement for those who suffer for the gospel. Though the work of God was complete on the cross, it is not yet complete in its manifestation in the world. We are now sent as ambassadors of the gospel of the Kingdom of God, with the good news of the cross and the freedom it gives to anyone who will receive it. We share the truth of the gospel, the story of the cross, by declaration, by preaching, by the words we speak. However, we also share the gospel in our actions. Never on this earth will we better be able to show the truth of the gospel as we are in our response to suffering. With our words we tell the world that Jesus is Lord, and has become their Saviour by his suffering. By our grace and forgiveness when we are reviled, we show them that it is true. With Paul we may rejoice in our sufferings for the sake of the church, that Christ may be glorified through us. Click the image above for the entire series.